This where we will show our latest news and press releases, and announce our latest products and new features. 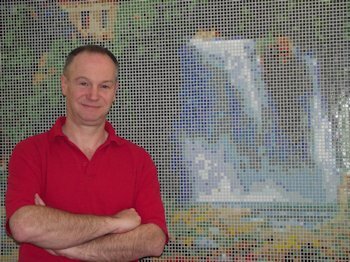 Kaamar are please to announce the launch of our new PaintMosaic software, allowing website users to create a custom Mosaic Tile Pattern, Mosaic Picture, Mosaic Accent or Mosaic Mirror Design from scratch online. 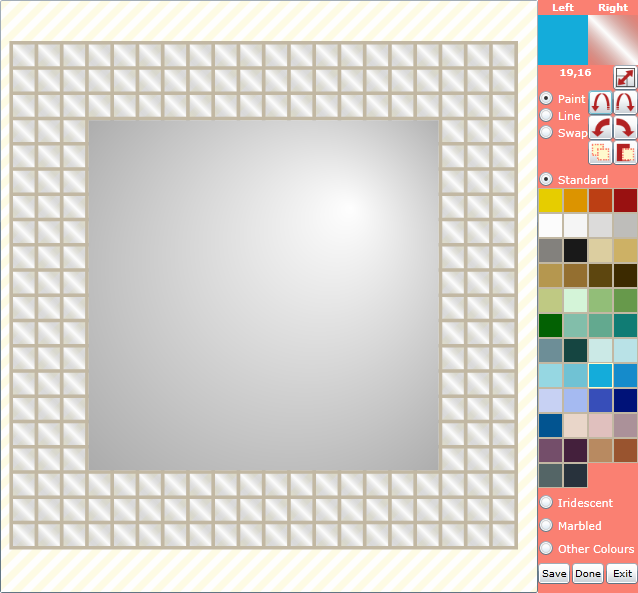 With a simple, in-browser interface (pick a tile colour and start painting the tiles), you can easily create your own custom design. Website integration will then cost and display your design in detail, including facilities for live delivery quotes and online ordering. Your finished designs may be featured in the new User Mosaic Gallery and shared on social media! 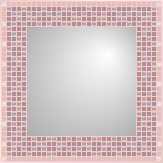 Kaamar are please to announce the launch of our new Satin Mosaic Mirror range of small mirrors with contemporary tile patterns in a selection of colour schemes for interior design. 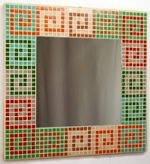 Satin edged and budget friendly, these hand-made mosaics now allow the widespread introduction of crafted mosaic art into home decor as colourful mirrors. 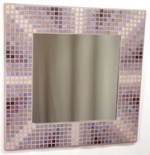 Home Studio crafted, fully tiled and grouted with small glass mosaic tiles, edged with satin for a softer look and with optional stands, these mosaic mirrors can be used to brighten up walls and surfaces to compliment your home decor. Our initial range of designs is based on a select number of sizes and patterns, from simple random mixes to sophisticated modern patterns, with a variety of colour ways to suit many colour schemes. Some colour schemes include glinting glitter tiles, or iridescent tiles that add shine and bling, while others include marbled tiles that add sophistication, individuality and sparkle to the design. Kaamar are please to announce our new mosaic collection based on the colourful paintings of Australian painter, Belinda Volkmer, in our first collaboration with an independent artist. Offering a range of bold and contemporary tile pictures in vivid colour schemes for interior and exterior design, these hand-made mosaics now allow the introduction of Belinda’s art into home decor as crafted mosaic art. Home Studio crafted onto film and fibreglass mesh sheets ready for tiling and grouting, these Limited Edition mosaic pictures will brighten up your walls and floors, indoors or outdoors (some are also available pre-tiled as Framed Mosaic Wall Art). Welcome to the Belinda Volkmer collection. My focus is depicting the beauty of nature in vibrant colour. As from being a young child I admired the colours and textures found in treasures from nature, now I take great delight in reflecting this on canvas. I do not endeavour to create accurate images true to life, just letting the painting evolve to achieve a pleasing result. I hope to impart a sense of uplifted spirits to all who view my work. We are just rolling out some major new facilities for our website, so that for the first time you can now design, cost, order and pay for your custom mosaic online, all in one seamless process. Making this possible has involved the introduction of several new features to turn our mosaic design site into a full blown shop in addition to our advanced mosaic design tools. We have added a Shopping Basket (similar to that on many shop sites, including our own) with facilities to add and remove products as well as to change the product quantity. Kaamar are please to announce the launch of our new range of Framed Mosaic Accents - a range of contemporary tile patterns in a selection of colour schemes for interior design. Accentuate your decor with this range of colourful mosaic tile patterns, hand made in the UK - add a splash of colour, pattern, texture and interest! Aluminium picture framed and budget friendly, these hand-made mosaics now allow the widespread introduction of crafted mosaic art into home decor as colour accents. 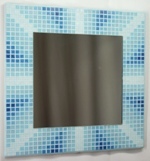 Home Studio crafted, fully tiled and grouted with small vitreous glass mosaic tiles and mounted in an aluminium picture frame, these mosaic pattern accents will brighten up your walls and compliment your home decor. Prices start from only £35 including Packing and Delivery to most of the UK with no VAT to pay! We are today rolling out some structural changes to our website, including for mosaic pricing. These more closely reflect our current actual times and costs, while laying the groundwork for upcoming new products and facilities, as promised (nearly a year ago!) 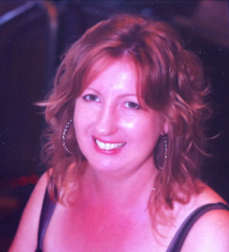 in our Blog article Now we can Blog our New Ideas and Products! Despite rising costs, for the majority of our designs this has allowed a slight reduction in price. While the cost of tiles has generally increased, some colours cost more than others, especially in the red/orange/yellow range. By moving from average pricing to individual tile colour costs, the cost for most designs can be held or even slightly reduced, although designs in some colours will increase.